If you don’t need to remove the driver, then head on down to step 3. 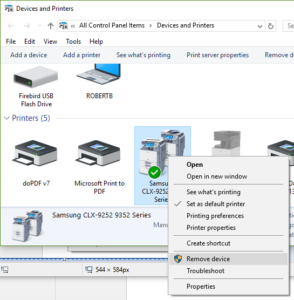 Step2: Remove Printer by right clicking on the printer and selecting remove device. 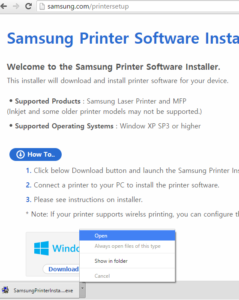 Step 3: Reinstall printer by going to www.samsung.com/printersetup. 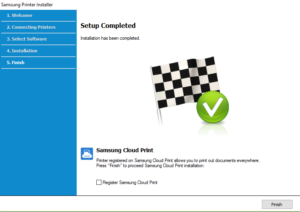 Then, download and open installer. 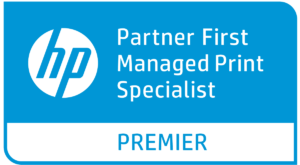 Or download the universal driver and run it. 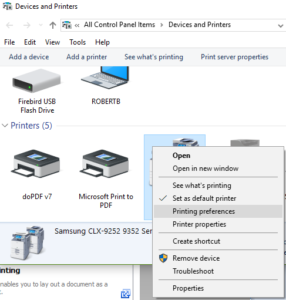 Step 4: In installer select the following then click next: Check the agreement then hit next> Check existing printer then hit next> Highlight your printer, for example the Samsung CLX-9252 9352 Series, then hit next> In the Select Software to Install pane select only the Samsung CLX-9252 9352 Series PS printer driver then click Next> Wait for download and installation to finish> In the Setup Completed screen, deselect Register Samsung Cloud Print then click finish. 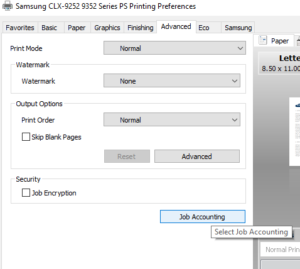 Step 5: How to input Job accounting. 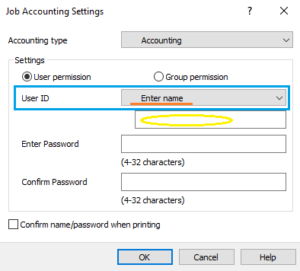 Step 5c: In Job accounting make sure that the account type is accounting. 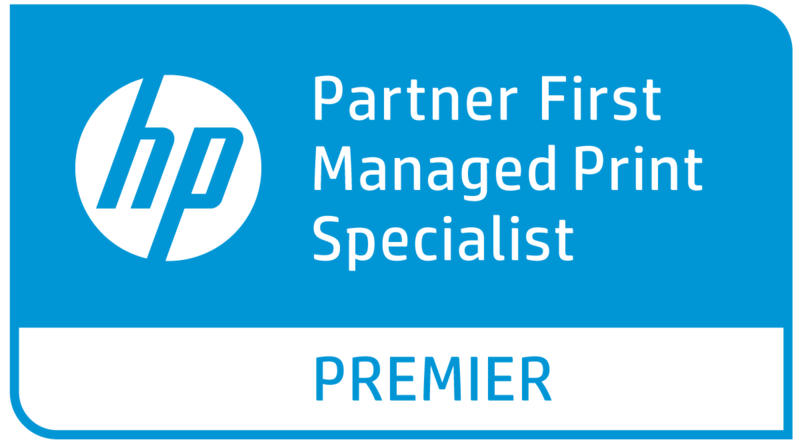 Make sure that user permissions is selected. Make sure that under user ID, Enter name is the selected choice. Where the Yellow oval is, put the users username and below it we enter the password twice. 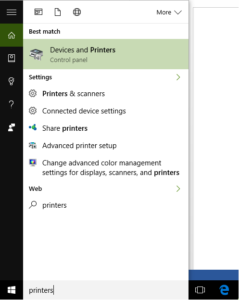 Alternatively is this is a community computer then just type in a message for the user to read, where the yellow circle is then check the check box for Confirm name/password when printing. 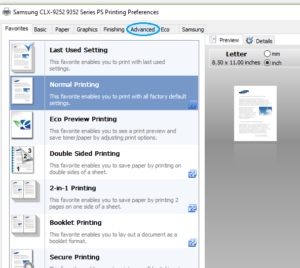 After you have finished entering the proper details, hit ok and then hit apply in printing preferences. Now perform a test print. If accounting details were inputted improperly then the job will not go through. So check carefully the spelling of the username and password as these are case sensitive.